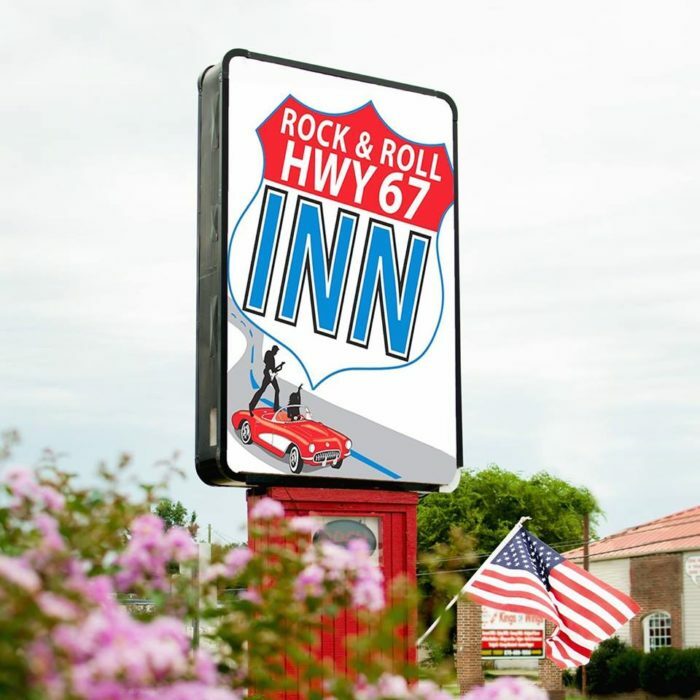 The Rock & Roll Hwy 67 Inn is a cozy little motel in the middle of a famous musical highway. Whether you’re taking the trip to explore the highway tour or just passing through, this themed inn is a fun weekend getaway. Let’s step inside this rock & roll lodging and see what music awaits. 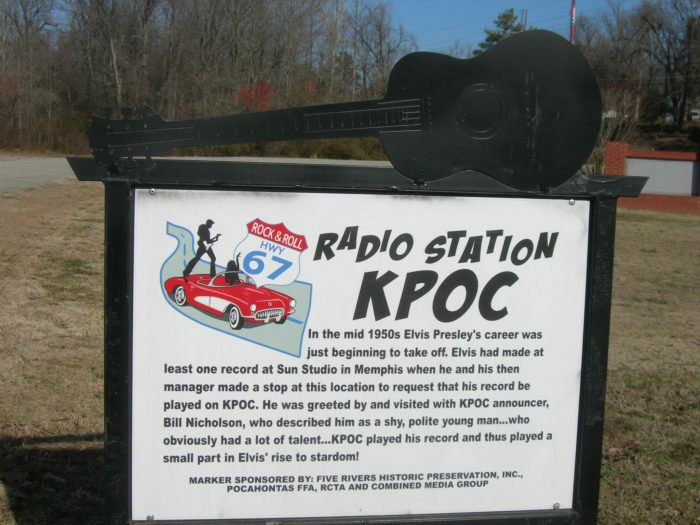 The famed Rock ’n’ Roll Highway 67 has plenty of musical noteworthy stops. 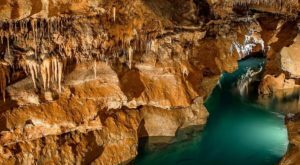 The highway that once attracted rockabilly stars from Johnny Cash to Elvis Presley is now a designated scenic tour. 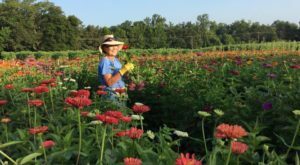 The 111-mile stretch has historic establishments, museums, annual music festivals, and all sorts of interesting attractions. 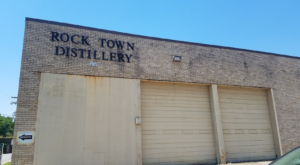 If you'd like to learn more about the Rock 'n' Roll Highway in general, visit this site. 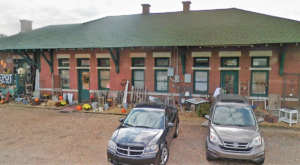 The Rock & Roll Hwy 67 Inn may not immediately catch your eye but make no mistake, this place is pretty darn cool. There's no where more fitting for a rock 'n' roll road trip than a music-themed motel for a night or two. 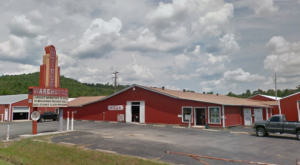 The inn is located at 1710 Rock and Roll Hwy 67 S., Pocahontas, AR 72455. 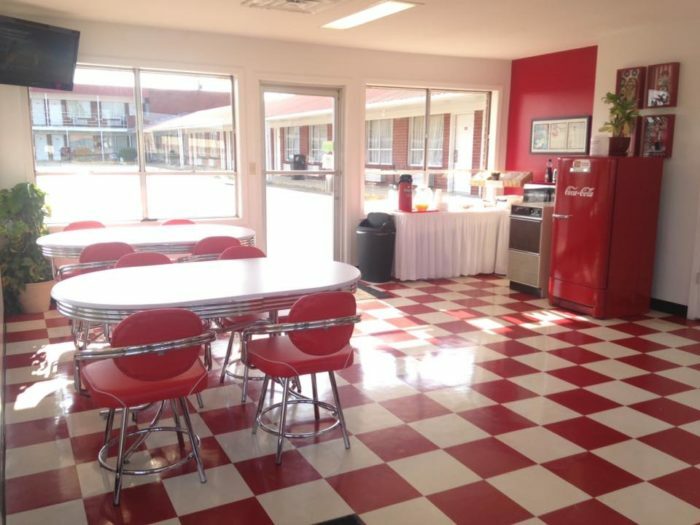 You'll immediately be transported to the 1950s as soon as you walk into the lobby. You can take in all the decor as you tuck into a tasty (and free) breakfast the next morning. Each room has a unique '50s or '60s rock & roll theme. In addition to enjoying a comfy room, you can also admire the funky art and musical icon posters. 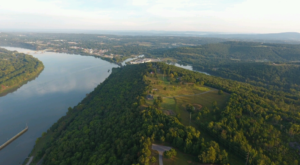 This rockin' inn is the perfect spot to add to your musical tour of the Natural State. 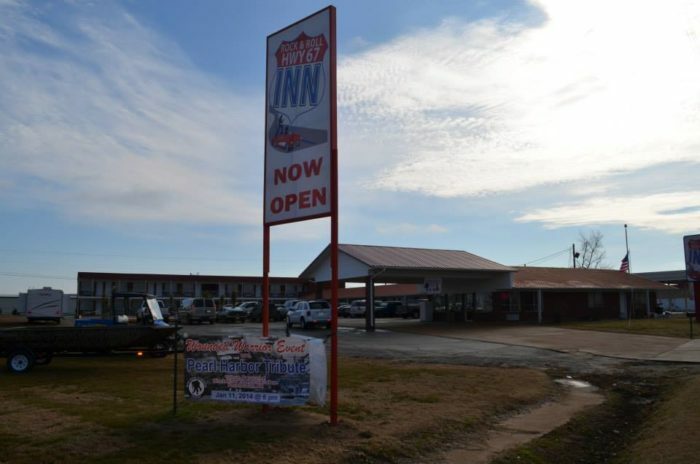 For rate information or to book a room, you can call the Rock & Roll Hwy 67 Inn at (870) 609-1999. The inn is pet friendly, too. 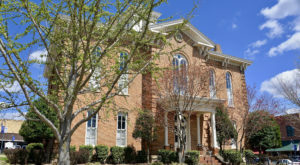 You can also follow the inn’s Facebook Page. 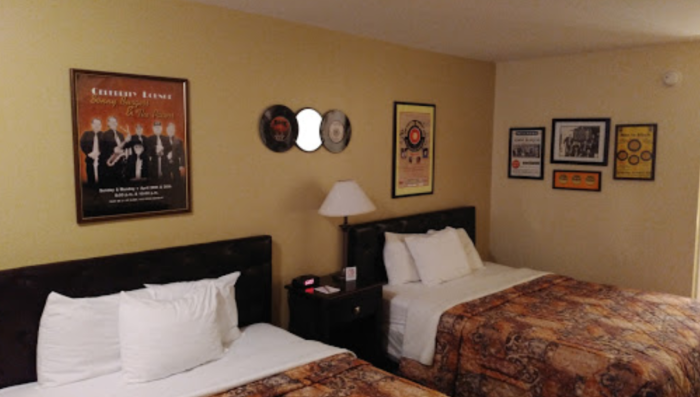 Have you stayed at this rock & roll themed inn? What’s your favorite stop along the famous Hwy. 67? Share with us in the comments below! 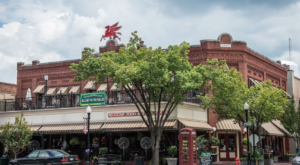 While you’re in the area you should definitely stop by the state’s largest historic district or continue on to the most musical town in Arkansas.